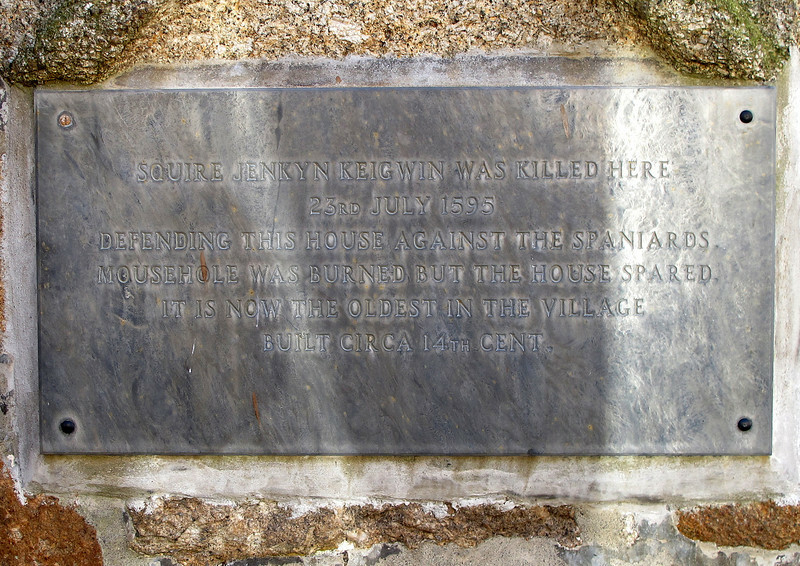 Day 5 - Lamorna to Marazion, 30 April 2013 Distance walked 9.20 miles Elevation gained 725 feet Weather - Mainly sunny and warm, calm to start but light breezes later. 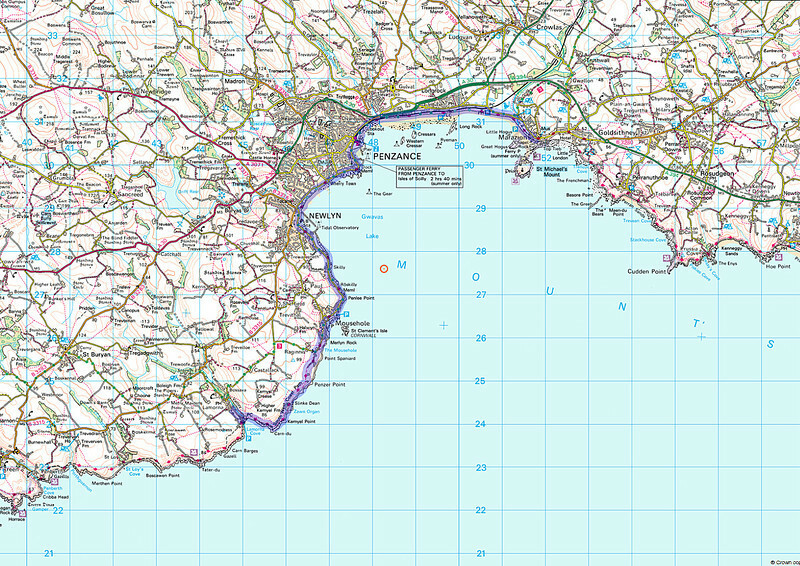 The actual route for today as recorded on my 'phone using Orux Maps software. 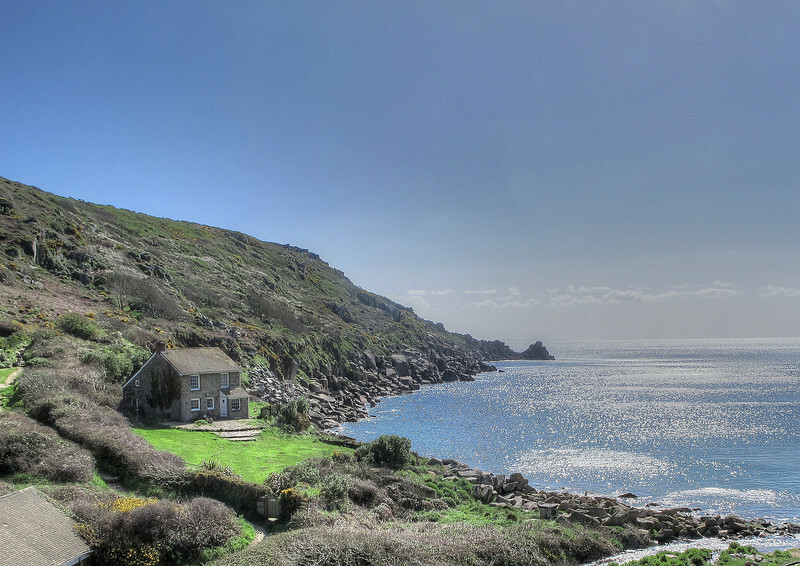 Off from Lamorna on an ideal morning. 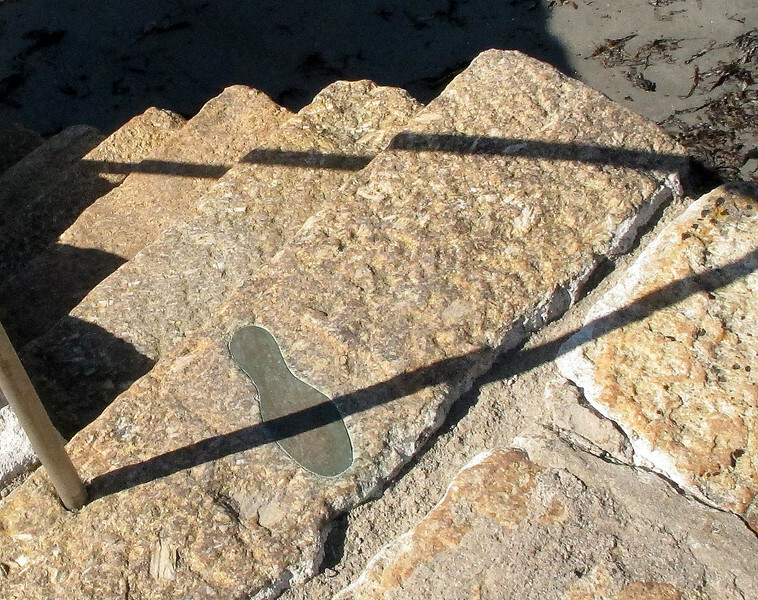 The path goes up the hill behind the cottage. 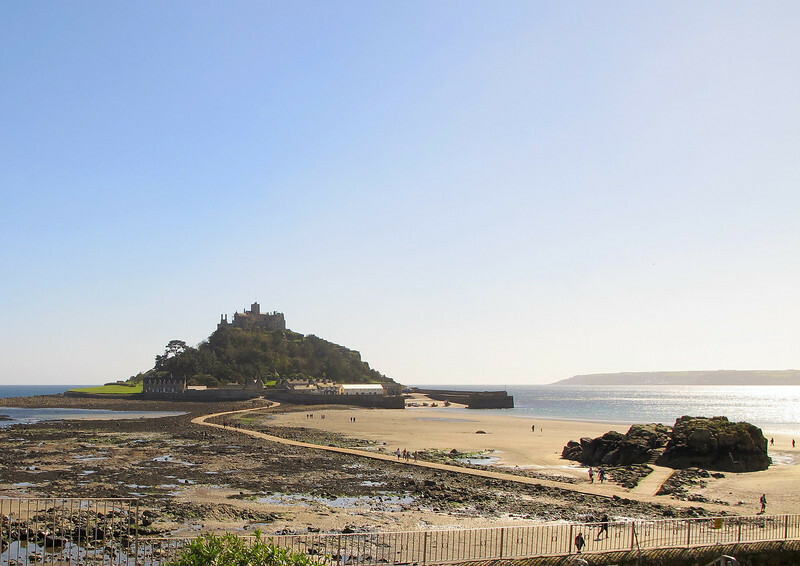 On to Mousehole and the first view of St Michaels Mount. 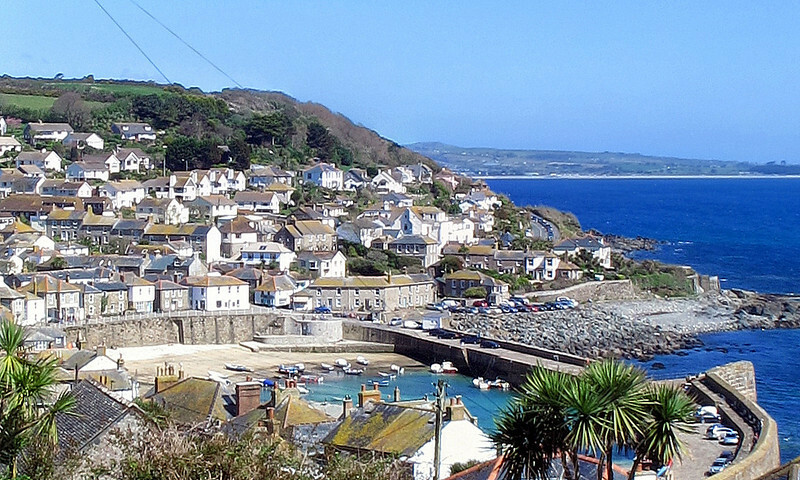 Time for morning coffee break and a sunny seat above the archetypical Mousehole harbour in warm sunshine. 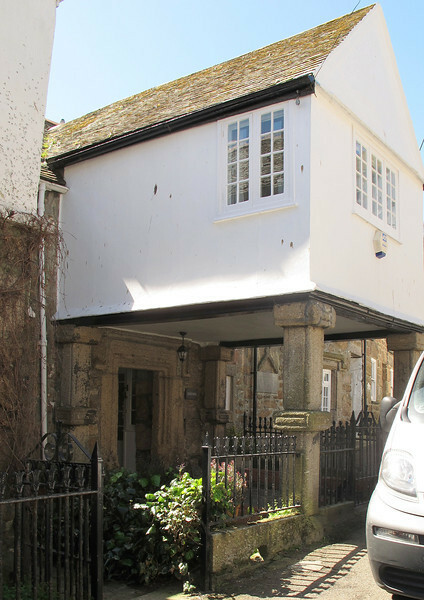 The oldest house in Mousehole, escaping the destruction caused by the attack by Spannish forces in 1595. 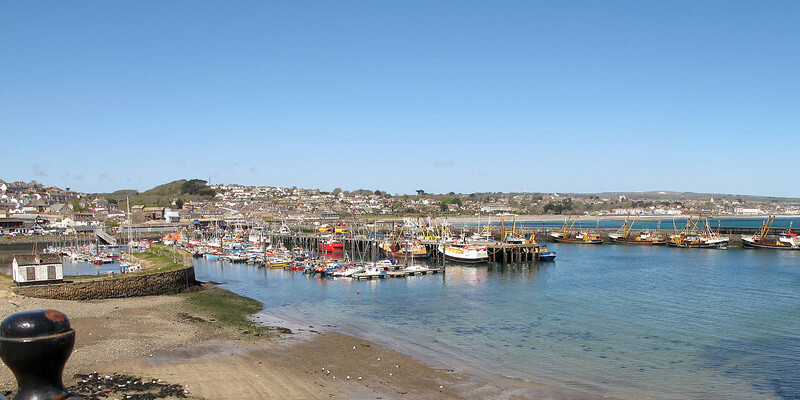 On a few miles to Newlyn and the busy fishing harbour. 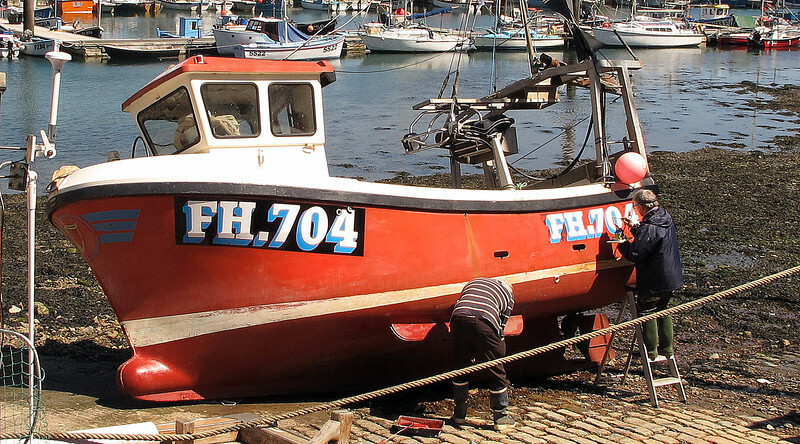 A traditional signwriter works on a boat undergoing refurbishment. 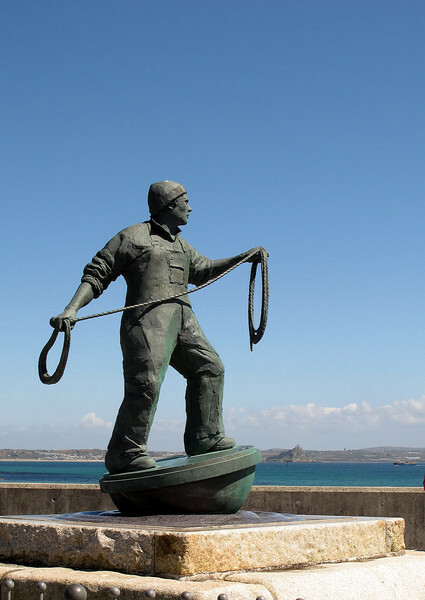 The Fisherman Memorial at Newlyn. 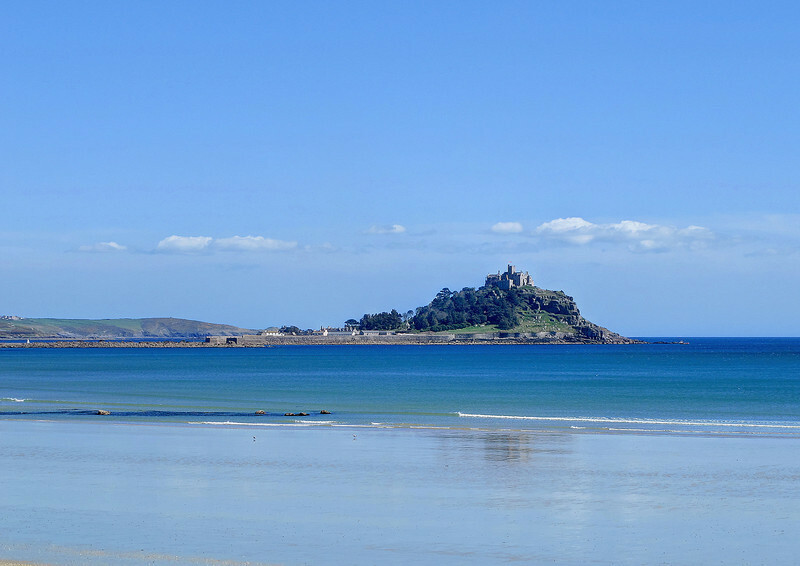 St Michaels Mount, Marazion, Cornwall. 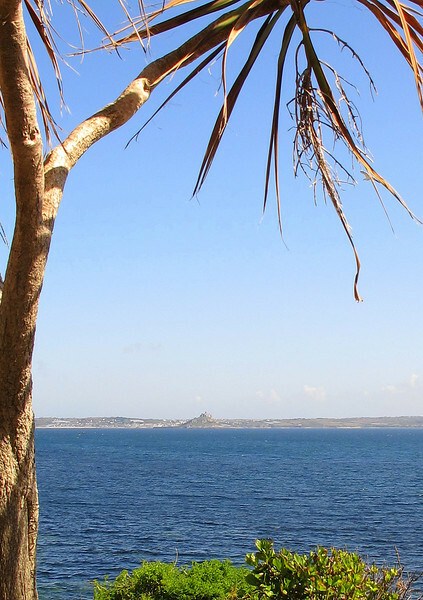 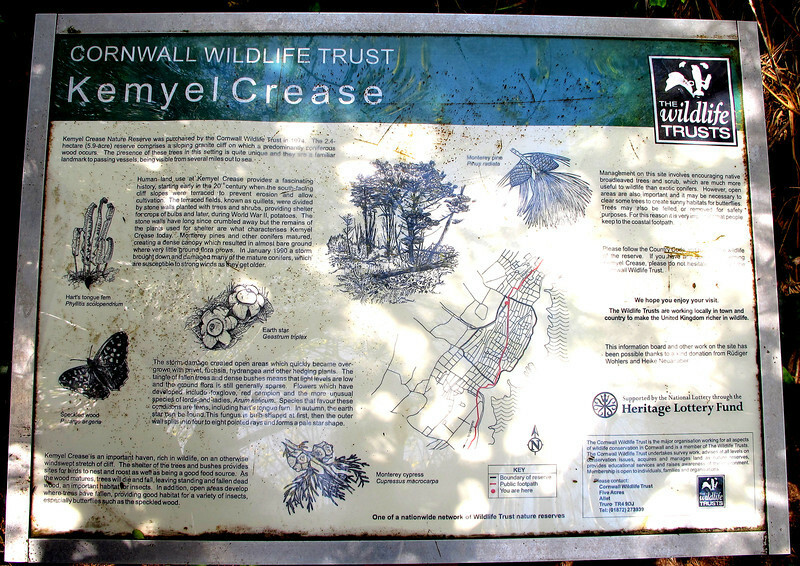 At high tide the causeway is covered so passage to and from the island is by boat or amphibious craft. 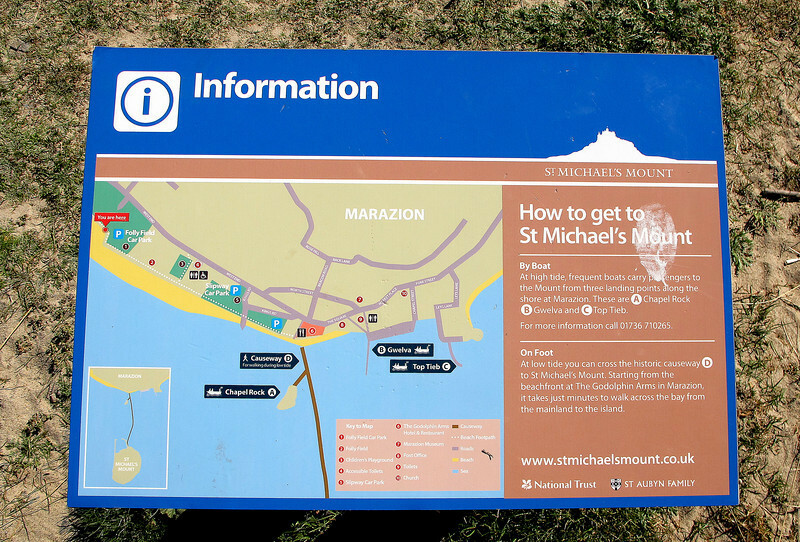 The spot where Queen Victoria climbed off the boat bringing her to St Michaels mount on a visit. 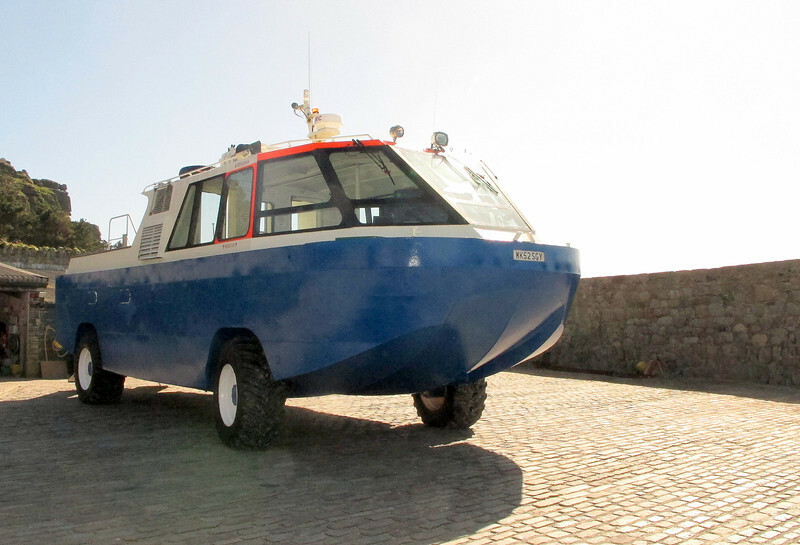 A National Trust St Michaels Mount transporter for carrying visitors to and from the island when the tide is in. 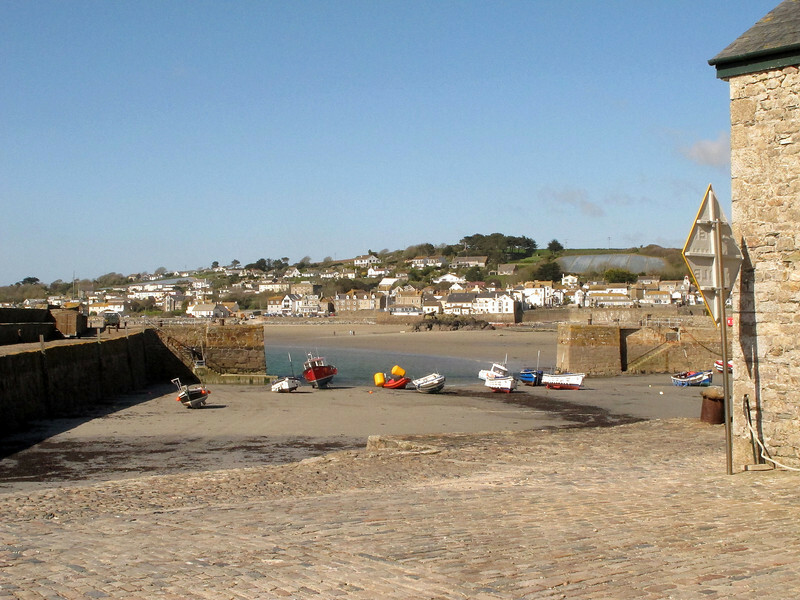 The harbour at St Michaels Mount.